This is adorable for an Easter get together where you can show your spoiled pooch off to the family. 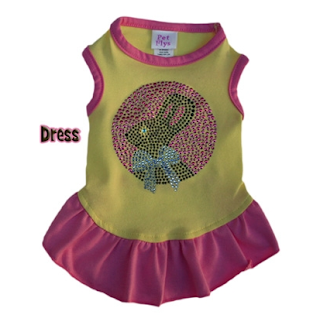 The Chocolate Bunny Rhinestone Dress from Bloomingtails has sparkle and bling and convenient arm holes soy our dog can still move around and stay comfortable! I know my girls would look great in this!